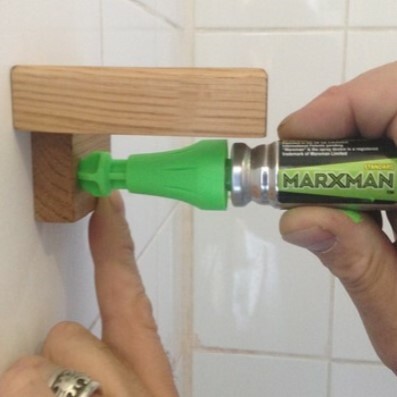 We stock a comprehensive range of Fixings for any professional trade or DIY project, including Glues, Sealants, Screws, Nails & Gripit Plasterboard fixings aswell as the amazing Marxman fixing position marker pen. All manner of items needs to be fixed to something else. Fixings can take the form of nails, for example, when two pieces of wood are firmly attached to one another. Fixings can also be a glue, a sealant or an adhesive that serves more or less the same purpose. Certain items can be fixed or attached to other items by screws or bolted together. In the case of bathroom fixings or kitchen fixings, for example, certain items, sinks, for example, will have appropriate holes in a place where taps can be fixed rigidly and permanently. It is always good practice to use the right type of fixings for any given task. Tiles could be attached to a bathroom wall, for example, by using a proper tile adhesive. In this way, the tile fixings are effectively invisible, but nonetheless very effective. At the other extreme, using the wrong type of fixing for a task where it results in it not providing adequate strength could prove dangerous. For this reason, it is always wise to use the right type of fixing for any given situation. Sometimes fixings need to think laterally in order to work properly and safely. Plasterboard is a good example of this. Most houses have their interiors lined with plasterboard, which works well, but this material is not particularly strong when it comes to fixing items to it. For example, say you want to hang a picture in your living room. You could just hammer a nail into the plasterboard, but if the picture is heavy, the nail will simply pull out and the picture will fall down. 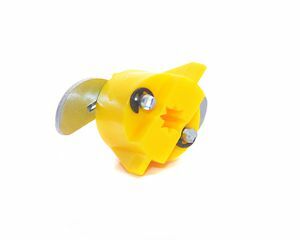 That's why there are special fixings available specifically designed to work safely with plasterboard, whether it is to overcome a sheer load, tension load or cantilever load. 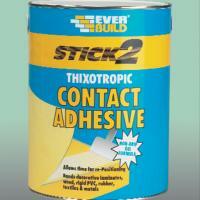 Adhesives, glues and sealants also come in a variety of forms, each designed for a specific purpose and need. Wood, glass, metals, most plastics and other materials can all be fixed together with the appropriate adhesive or sealant. We tend to think of something like steel bolts as being the ultimate fixing device, but today's top adhesives, properly applied, can rival even that. Adhesives and sealants have the added advantage of being very easy and quick to use, which makes them popular with DIY enthusiasts and tradesmen alike. Using screws and nails are common methods of fixing items together. They are used mainly for wood components, but not exclusively so. Nails tend to be made from steel and come in varying lengths, from 25 millimetres or shorter, up to 150 millimetres, or even longer. Screws can provide a more reliable and stronger bond between two materials needing to be fixed together. Screws are generally made from metal, either steel or brass. Each meal has its uses, depending on whether it is a ferrous or non-ferrous environment. Generally speaking, good quality fixings don't need to be replaced, or at least, not very often. Fixings for bathrooms and building materials associated with bathrooms need to be robust and usually water resistant as well. There are fixings available for all types of materials, and for every situation. It's just a matter of using the right one.